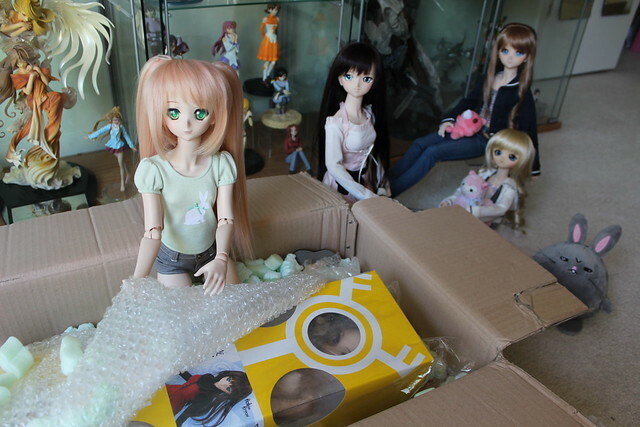 Welcome Home Dollfie Dream Aoko Aozaki! 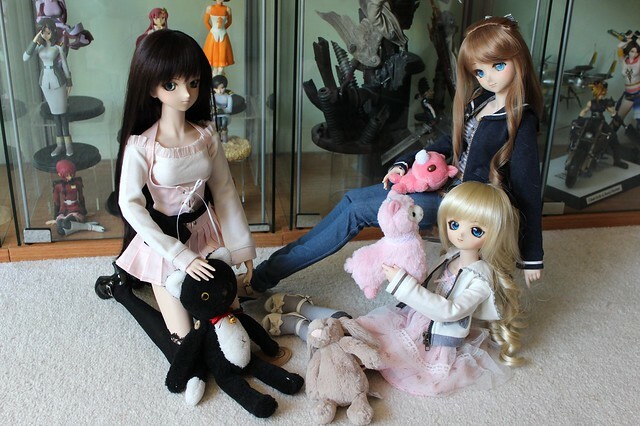 Today Rin and Serena were having a relaxed afternoon playing with Médée. So many plushies! 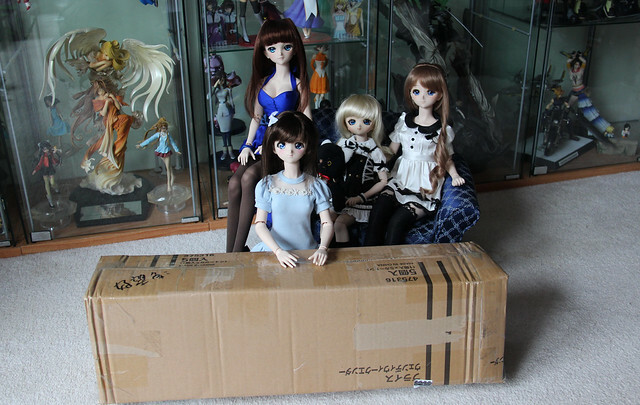 Suddenly Gabi appeared out of nowhere with a big package that the postman just delivered! Angry Bunny was suspicious so he came out to investigate too. Gabi whipped open the box and peeled back the protective layer of bubble wrap to check out what was inside. I recognize that distinctive yellow box! 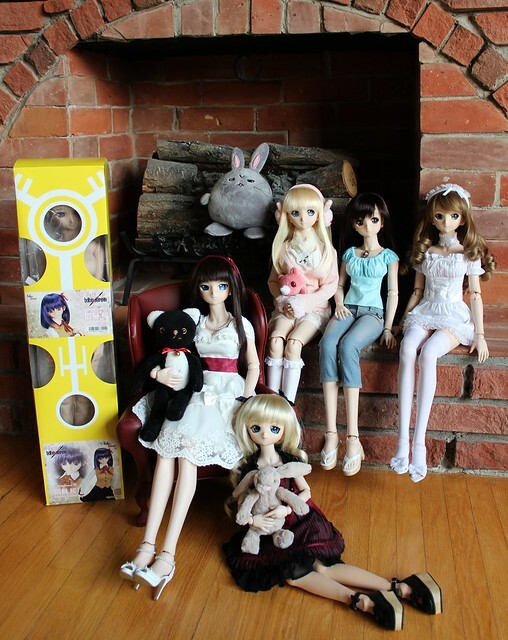 On the last weekend of April, the Dollfie Dream owners from the Toronto area got together for our monthly meet! The weather this spring has been unusually cold, which has slowed down the sakura trees in High Park so we had our meetup at Village by the Grange. 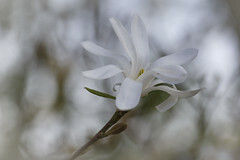 We all met up for lunch at Manpuku Japanese Eatery before heading out to Grange Park to chill and take pictures. Our theme for this meetup was “Spring Cleaning” so aprons and cute maids were abundant! Mmmm so much doll meat! 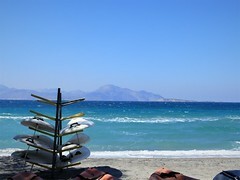 I’m glad that it was a beautiful day, I’ve really missed having outdoor meetups! 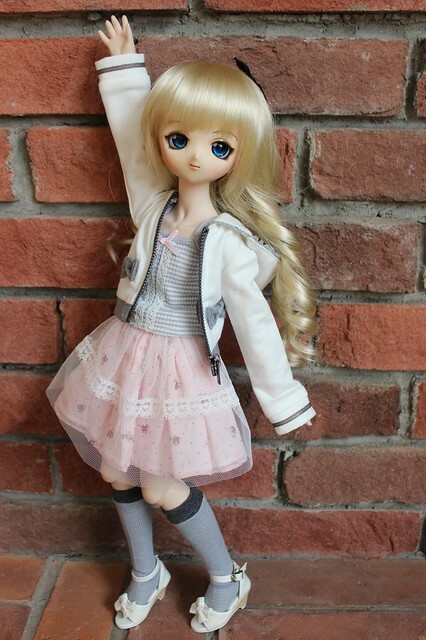 I brought Sidonie, wearing the adorable Royal Highness set by puppy52. This little apron and maid hat work very nicely with the outfit and Sid looks ready to lend a helping hand! 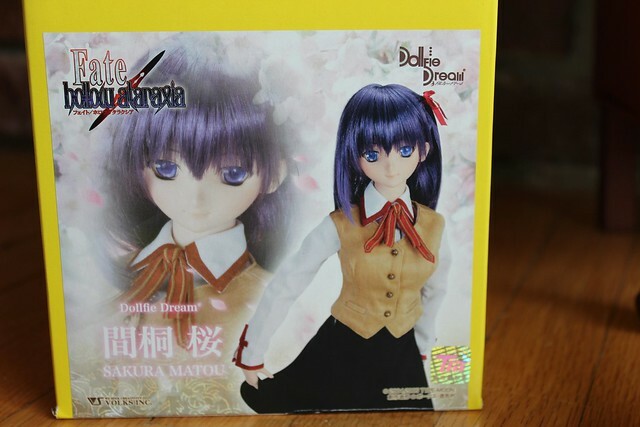 Welcome Home Dollfie Dream Sakura Matou! 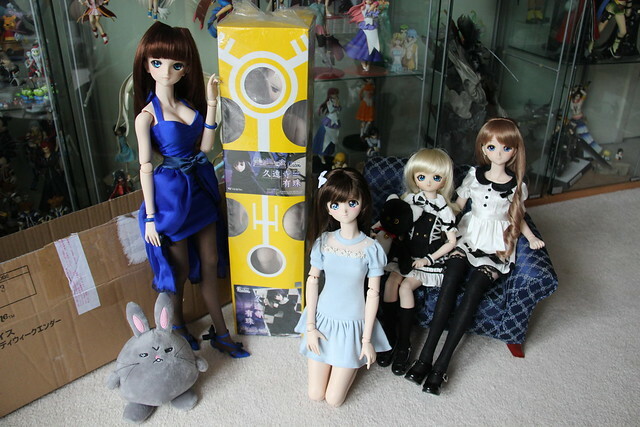 Today a few of my girls helped me to formally welcome home the newest Dollfie Dream the family! 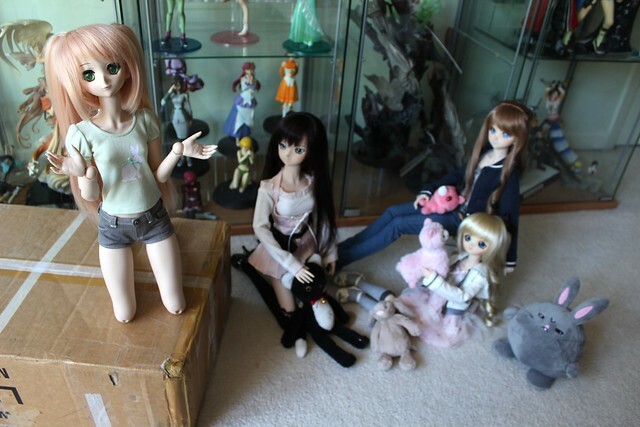 Aerie, Serena, Lily, Rin and Médée would like to introduce Sakura Matou! 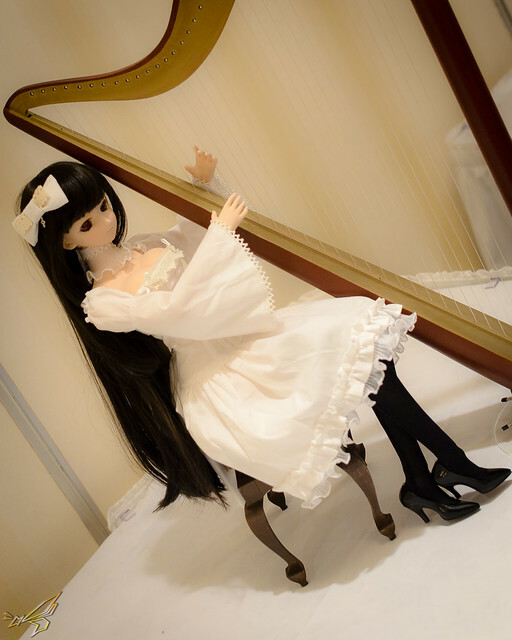 I’m very excited to have Rin Tohsaka’s sister from Fate/Stay Night, but she is also Serena’s sister since I adopted her from my late friend D.ark. I’m very honoured to be able to give this pretty girl a loving new home.